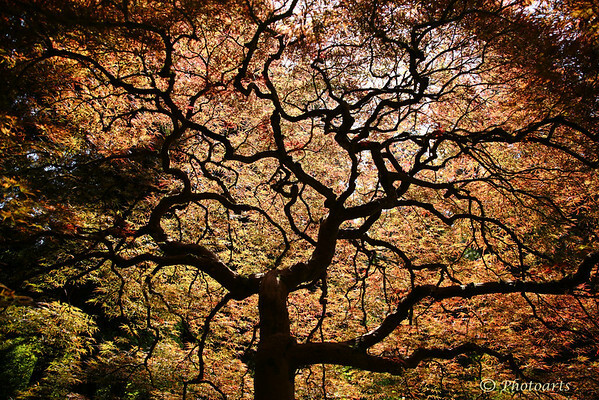 Only three feet tall, this perspective makes the Japanese Maple captured in Portland OR look much larger. Very clever angle and great outcome! Yes, this looks like a huge tree. Beautifully captured for this effect. Can' t believe its only 3ft tall ! gorgeous..
Beautiful, beautiful, beautiful !!! Stunning shot !!! Stunning...this must be one of the most photographed trees in the world! It does make it look quite large. Great POV to make this beautiful maple look so impressive!